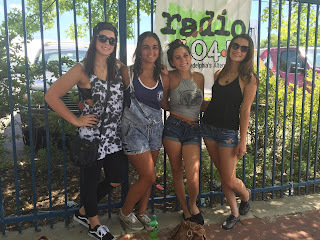 Johnna B // iSocialite Media Intern - I spent my Sunday (Aug. 2) afternoon at Radio 104.5's Summer Block Party Series located at Festival Pier. It was a time well spent! The free concert epitomized fun in the sun. It was a great combination of music, booze (if you’re 21+ of course), dancing, and free sample treats. The sand-covered walkways made me feel like I was at the beach! Philadelphia’s very own Commonwealth Choir set the tone for the alternative event by opening the show. They definitely got the crowd going! The people loved them. Nick Cislak, a member of the Commonwealth said “ this was by far my favorite performance, the crowd was so welcoming and gave of the highest energy”. Speaking of high, if you plan on visiting this vibrant event, I request that you come on a full stomach. I spent 10 dollars on a 6 piece Hot/Honey chicken nugget with fries combo. Nevertheless, it was extremely appetizing, finger-licking good (literally since I forgot to grab a napkin). The Block Party had tons of cool activities happening outside of the performances. I got distracted by an intense game of “bean-bag toss” that took place next to the food truck. Across the sand-field, there were also basketball hoops for people to take shots at during the concert. The sun showed no mercy during that afternoon! I felt bad for those who were participating in sport activities, but there were a few tents to keep people cool. Turkey Hill even gave out free sample sizes of their latest Gelato and chilled Ice Tea. Bars were pretty much everywhere for the 21 and older crowd. Sparkling Ice was on site and offered free samples of their new flavors - very refreshing! The crowd in front of the stage was still going crazy while I made my round trip. They were bouncing beach balls to the beat of the music over the audience, crowd surfing, singing along, and clapping in unison. 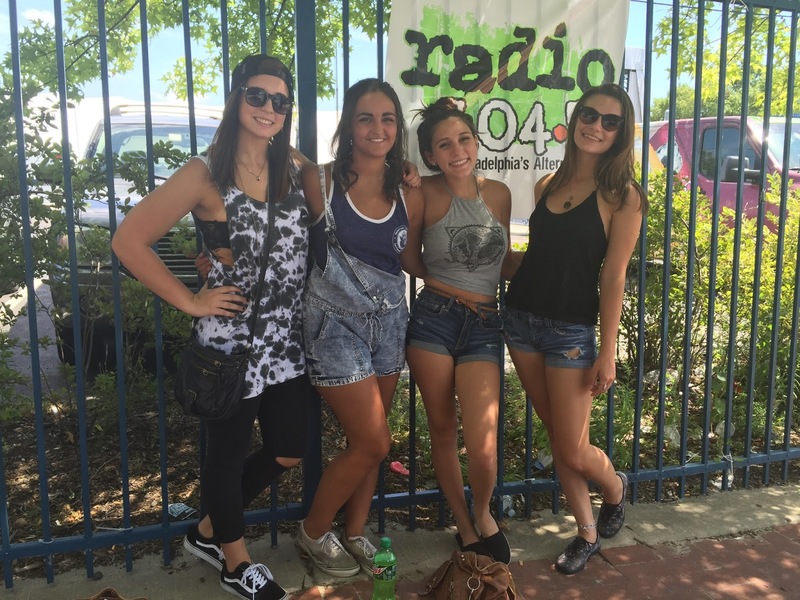 Lively - is a word I would use to describe Radio 104.5's Summer Block Party. Before leaving the event, I spoke with a member of the Radio 104.5 team to get the story behind the purpose of this annual affair. 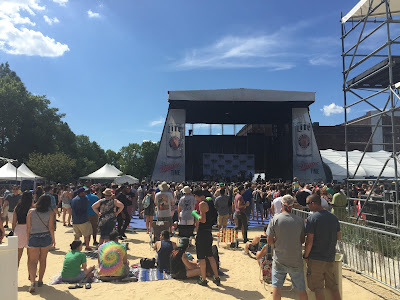 Ciara Quinn (Radio 104.5) shared that the purpose of this event is to “ultimately bring family and friends of all backgrounds to together under alternative music, to bask in great time amongst people that genuine enjoy a good time.” They nailed it! 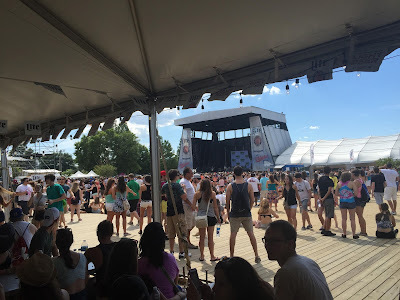 So if you are looking for a chill time with great alternative music, surrounded by high energy stop by Festival Pier for Radio 104.5's Summer Block Party Series. They have a few dates coming up with some excellent acts!